LIMENDO BUSINESS CONSULTING FROM BOZEN, SOUTH TYROL, IS SURE TO BRING YOU INTO THE DIGITAL FUTURE. The Limendo management consultation South Tyrol, Bozen, specialized in digitization and innovation. 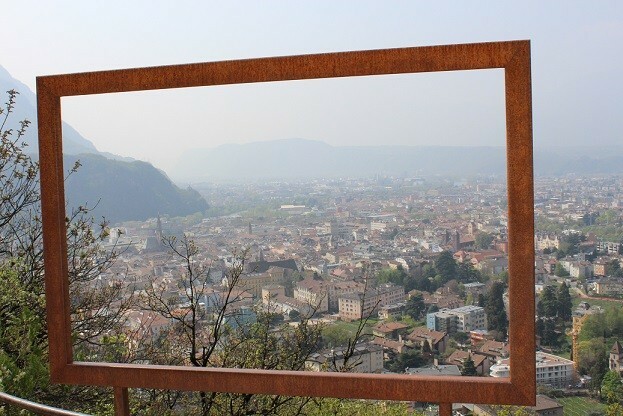 The Limendo management consultation South Tyrol, Bozen, concentrates in its consultation in particular on the ranges of topics strategy development, digitization and Business Intelligence. Limendo supports medium-sized companies and entrepreneurs in the area of Strategic Development. With the Limendo House of Strategy we have developed a unique approach using all necessary and essential analysis and concepts within strategic development. Additionally, we also support the creation and design of efficient processes. We here at Limendo are convinced that you would like to go the extra mile, when it comes to your clients, so the internal processes should be as efficient as possible. Our Limendo Digitalization Solutions will help you with your choice for the right digitalization strategy. These are always based on a fundamental analysis of your business. We will never start with any measures without fully understanding, whether or not these processes will be successful. This is what sets us significantly apart from other consultants. For example, during our consultations we often hear that Apps were programmed without an existing true business model. 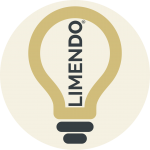 Whether we develop a new App together with you, design an online shop, incorporate a specific software into your business, or develop a Business Intelligence System – Limendo supports you from the creation of the concept, the project management all the way to the final implementation. 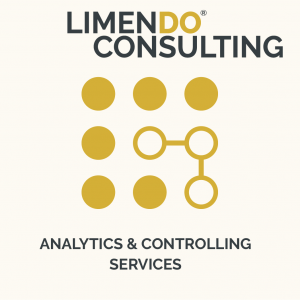 The Limendo Analytical Services focus on the Controlling and Business Intelligence Solutions. We will help you in the development of a Controlling concept and we will support you in the application of the latest technologies. The Limendo experts recommend to create the Controlling in such a way that the key business data are available automatically and daily. This way, your Controlling can focus on the important things, which is operating the Controlling. 1) Strategic Overview: All our consultations are based on a comprehensive strategic analysis. We work with established methods and constantly improve our own approach. Therefore, our Limendo House of Strategy is an example for our continuous further development of our consulting approach. 2) Digitalization-Know-how: We closely follow all general developments in the area of digitization and we are your competent partner for digital transformations. 3) Implementation: All our recommendations are being implemented either by us or we work with trusted partners for you, if you wish to do so, and we will take over the Project Management of the Projects. Despite all the strategies, we are still very pragmatic along the way. We adjust to the local business structure and work closely with your employees to implement the transformation. Results are always at the forefront for Limendo. It is also very important to us that your personnel are very much involved in the project, so that they can see the results of it themselves. Project Management Office (PMO), which makes the success of the project transparent. Thus, you and your organization always have in mind where you are. By 2025, the digital transformation will potentially create an additional 500 Billion Euros in Germany alone. When we talk about Digitalization, we essentially talk about the following core technologies, which will gain even more importance on the forthcoming years: Social Media, Business Intelligence, Big Data, Data Analytics, Cloud Technologies, Mobile Services, Internet of Things, Cybersecurity as well as robotic and process automation. However, this enormous potential also faces huge risks, which mainly falls to the middle-sized and small as well as micro businesses. Whilst large enterprises and huge corporations implement Digitalization and the latest technologies into the businesses, the rest of the companies seem to be limping far behind when it comes to Digitalization. According to the “Digital Transformation Scorebook 2017” of the European Union, a third of the businesses with less than 10 employees and a fifth of companies with less than 250 employees don’t actually implement any new technology. This poses a huge risk for the further development of these companies. Let us change that for you – today. Limendo fully supports you during that process. Limendo has found that the majority of digitalization initiatives are happening in Marketing and Sales. This area has a high penetration ratio of various different initiatives: From simple mailing campaigns to specific customer segmentation and own Client-Apps, there are a lot of different options within this area. However, process optimization in the back office of any company is often neglected. Areas such as production, service, transport and logistics, purchasing, or support functions like accounting pose unlimited optimization possibilities. For example, the implementation of a supplier platform could integrate purchasing processes much easier within your company. The result would be less administrative efforts and the purchasers can actually focus more on their job. WITH THE EXPERTS OF LIMENDO BUSINESS CONSULTING YOU ARE ON THE SAFE SIDE. With LIMENDO Business Consulting you are always on the safe side. Our consultants are true experts of Digitalization and Digital Transformation and have been working in this field for many years. The consultancy Limendo, based in Northern Italy’s beautiful South Tyrol, also operates internationally for you. In the coming years we can expect yet another massive turnaround. You can compare digitalization with the invention of the steam engine. Just like the industrial revolution changed the world how things are being produced, the digital revolution now changes the world and how we live, such as: how we work, shop, and how we spend our spare time. Make the decision today, if you want to be a winner or if you want to be a loser in this digital revolution and contact us right now. How digital are you really? Take the simple and free test right now and receive detailed feedback about your very own optimization potential. For the strategic analysis of companies and business models, Limendo follows its very own and specifically developed House of Strategy. The House of Strategy combines all essential and necessary areas within a business model and the strategy. It incorporates all important strategic publications of the last decades. The most important question, which you answer by using Limendo Business Consulting, is what kind of business you would like to run. What are the vision and mission of your company? Please don’t forget: People don’t follow plans, people follow people. Built on this, product range, client value, markets, USP and growth vehicles are all taken into account. 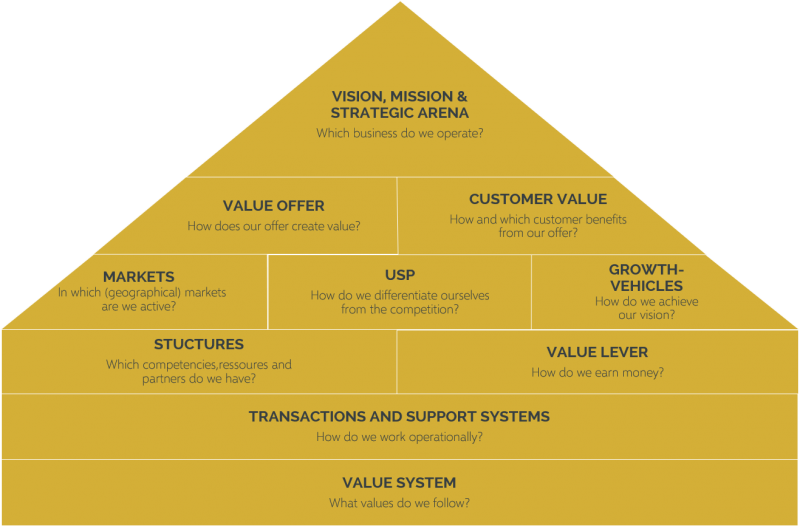 Ultimately, we are looking for the structures within your company as well as its value levers. The foundation of your strategy strategy is made up from your operational and support systems as well as your transactions. Everything will be based on your values, which ultimately determine how you actually want to run your business. Why did we pack the transactions and the operational systems into the foundation of the House of Strategy? follows an operative approach and won’t leave you with the the implementation of the strategy alone. We will take over the operative project management, , support you in choosing the right partners, or we completely transform your strategies. This is what distinctively differentiates us from other business consultancies. 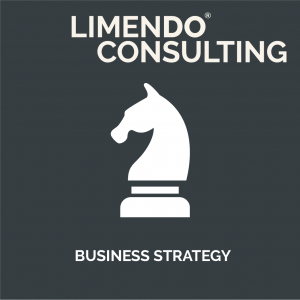 Read more about our understanding of business strategies and about Limendo Business Consulting’s House of Strategy. Read more about our understanding of Project Management and Implementation. 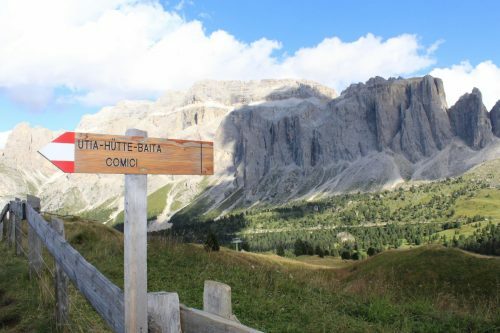 In their work, Limendo Business Consulting from Bozen in the heart of Italy’s South Tyrol combines strategy, digitalization know-how and implementation into one unique approach. All of our consultations have a beginning and end and they are strategically sound. We work only with established methods and improve our own approach continuously further. We are the leading digitalization expert and closely follow all developments in the field of digitalization as well as technology. Additionally, we have our own transformation competence in-house and won’t leave you hanging with just some ideas or papers. OUR CONTROLLING & ANALYTICS EXPERTS ARE USED TO HANDLING HUGE AMOUNTS OF DATA. With our Controlling & Analytics Services, you will be able to focus on what is important – your passion: Your business, your trade, your job. Here at Limendo, our Controlling & Analytics experts will make sure that you will be able to view all the information about your company quickly and any time. Here, we will differentiate between strategical, tactical, operational and transactional data. Together with you, we will establish a Business Intelligence System, which will provide you with these data at the right time and in the right way – almost magically. Limendo will make sure that all activities of the controlling and optimization within your company will run as smoothly and optimally as possible from that point on. This way, you will know exactly, if you should accept an assignment or not, if your clients pay on time or not, what types of possible improvements you could implement in your company and so much more. LET’S PROFIT FROM THE OPPORTUNITIES OF THE DIGITALIZATION AND AUTOMATION TOGETHER. 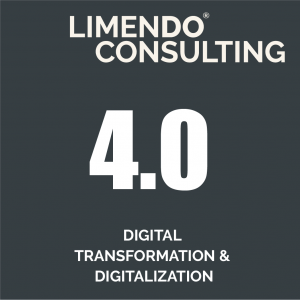 In over 95 Percent of all cases, Limendo Business Consulting finds digitalization and automation opportunities in every company that we service.The digital transformation vchanges worlds and businesses. We support you in becoming a winner during this new trend. If you are an industrial company – Industrie 4.0 is extremely relevant for you. The experts at Limendo Business Consulting can offer you a plethora of support in all kinds of directions. We not only support you in the identification of digitalization gaps, but also during the implementation of digitalization measures. We will find the right digitalization solution specifically for you in the form of various applications (Apps IOS and Android, Microsoft) as well as software solutions and we will also help you choosing the right suppliers and/or implement this for you. Furthermore, our partners are the most successful automation providers. PROCESSING COSTS HAVE BECOME MORE IMPORTANT THAN PRODUCT COSTS. 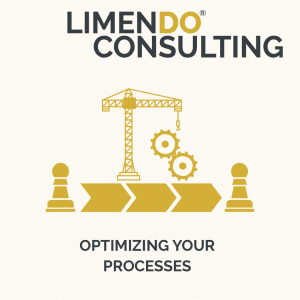 LIMENDO BUSINESS CONSULTING OPTIMIZES YOUR PROCESSES. These days, many companies realize that it is not sufficient to only look at the overall product costs alone. In many cases, the processing costs will outweigh the production costs. For example, if you are importing products from China, they might have lower production costs at first. However, if you then calculate the additional costs in terms of failure costs regarding shipping or customs as well as for quality control or communication problems, because they all affect the final expenses, then the initially lower product price and seemingly cheap business deal with the Chinese partner might not actually be as low as you first thought. Anybody, who has ever opened a container from China to find only faulty and defect products, knows exactly what we are talking about. 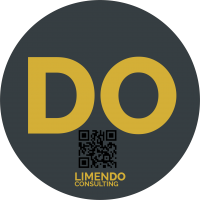 Limendo Business Consulting supports you in the analysis of your processes and the development of a procedural landscape. This will make it clear for everyone involved, which processes are currently being implemented within the company. We will establish the optimization potential for you and we will implement them together with you and your team. FOR THE STRATEGY DEVELOPMENT, WE WILL INCORPORATE ALL TOOLS AVAILABLE TO US WITH OUR VERY OWN LIMENDO BUSINESS CONSULTING HOUSE OF STRATEGY. Our consultancy has numerous years of experience in the development of strategies in various different sectors. In our work, the Limendo Business Consulting House of Strategy serves as our lighthouse, which we use for our orientation. resources in a comprehensive evaluation. Additionally, we will also survey your your external strategic context.This includes your competitors, important industry trends and the rest of the business environment. Finally, we will highlight your strengths and weaknesses through a complete analysis, which summarizes the opportunities as well as risks, and allows us to establish the resulting strategic optionsfor you. This will ensure a healthy base for subsequent decisions and the implementation process. We will also evaluate your growth potential and options with our specific growth tool, which will provide you with an optimal growth. Additionally, we will also support you with the Together with our Business Intelligence and Controlling Solutions we will be able to ensure a healthy profit reporting. “Digitalization changes everything. Whether we like it or not. Obviously, there will always be people, who are against it. Much like the trend of Social Cocooning, which refers to the ‘new’ comfortable ambience in your very own home. Without any technology. However, the majority wants digitalization. As early as in 2030, 30% of all purchases, including grocery shopping, will be done digitally. How long will it take until you go shopping in the realistically liveable worlds? IN THIS EVERCHANGING COMPLEX WORLD WE LIVE IN – THE RIGHT VISUALIZATION OF DATA IS MORE IMPORTANT THAN EVER. Avoid wrong decisions based on the incomplete availability of your business data. Despite the fact that more and more data is available these days, most middle-sized companies still depend on the good old old Excel sheet as an analytical instrument. . However, a lot of the data is stored in different databases and therefore the data is not available together at a glance. We will help you to reach today’s controlling benchmark: Business Intelligence Systemes will manage your data and show you in real time the most important information exactly how you would like to see it in your desired visualization. For more than 10 years, our team has been developing Management-Cockpits, Controlling and Performance Management Concepts and we will be happy to help you build your very own Business Intelligence System. We will support you in choosing the right suppliers and software, will take over the project managementas well as the overall development of your Controlling & Business Intelligence System. All of your financial analysis and the definition of KPIscan also be handled by us. Obviously, we will also audit your Controlling Systems and show you any optimization potential as well as defining concrete measures to bring you into the future. OUR DATA IS OFTEN MORE VALUABLE THAN THE ENTIRE BUSINESS MODEL. OUR CONTROLLING AND ANALYTICS SERVICES WILL SHOW YOU HOW TO USE THEM TO YOUR ADVANTAGE. The analysis of small and big data within your company go hand in hand with the development of controlling systems. Whether you would like to gain a better understanding of your client structure or certain markets, we will be there to help you get exactly that. Particularly in smaller businesses, data often tends to get stored in several different systems. This is not necessarily a negative, but it will slow you down. If you would like for your company to grow fast, it is absolutely essential that all data are made available in a transparent and clean manner. Preferably, all data should be available in just one location and they should all be processed into the various different hierarchy levels within your company. Limendo Business Consulting will happily support you with this task. Business Intelligence Systems solve this task almost magically by themselves – as long as they are intelligently designed and used. Data availability and data analysis have become more and more important over the last few years. With a good structure and setup, it is even possible to receive all your data via email on a daily basis via a fully automated system, or you can access this data via your mobile device in real time or live. This will basically ensure that you always have the best foundation for making the right decision – right in your pocket. 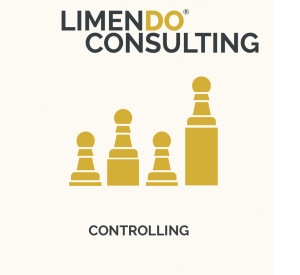 Limendo Business Consulting’s Controlling & Analytics Services are the perfect way to do just that. OUR CONTROLLING & ANALYTICS EXPERTS WILL SUMMARIZE ALL THEIR EXPERTISE INTO ONE BUSINESS PLAN FOR YOU. Based on the strategic evaluation, we will be able to create comprehensive economical calculations. We know all of the important key terms for banks and companies: ROA (Return on Asset), ROE (Return on Equity), ROC (Return on Capital), (F)CF (Free Cash Flow) and EVA (Economic Value Added). We will evaluate all comprehensive benchmarks or, if you would like to do so yourself, we also have all the necessary tools. TEST HOW DIGITAL YOUR COMPANY IS WITH OUR LIMENDO DIGITALIZATION INDEX. THE TEST IS COMPLETELY FREE! With the Digitalization Index of Limendo Business Consulting, we have created a simple and easy way to measure and establish the digitalization level of any company. Estimate your status in the various different categories and receive a full report to the digitalization of your company – completely free of charge. Learn more here and take the test. THE ANALYTICAL AND CONTROLLING SERVICES OF LIMENDO BUSINESS CONSULTING WILL MAKE YOUR BUSINESS AND YOUR SUCCESS TRANSPARENT. With our analytical and controlling services, you will always have your business under control. We support you to get more out of your data and therefore make better decisions. For this, we only work with the latest and modern methods available. Forget about excessively large Excel calculations. Win back your security and trust in your data. Learn more about our Analytical & Controlling Services. WITH ALL LIMENDO BUSINESS CONSULTING RECOMMENDATIONS WE ARE THINKING 10 YEARS AHEAD. Industrie 4.0, work 4.0, globalization, urbanization, connectivity, knowledge culture and much more. 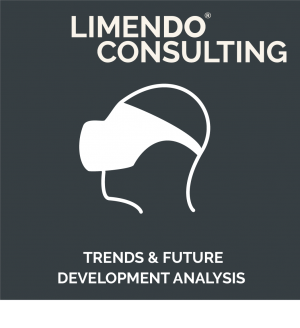 Our experts at Limendo Business Consulting will be happy to support you in the development of trend analysis. Not every brand new technological feat has to be incorporated immediately. However, it is important to keep connected to the market and not to lose sight of what is going on. In times, where huge corporations are replacing incredibly big numbers of employees with robots – in the administration, not in the production! – it is more important than ever to keep up with the changing times. More than two-thirds of people around the world already have access to a smartphone today. Over 95 percent use a mobile phone. Many still speak of digitization today as a form that does not affect them. As a fad, which will pass soon. But this assumption is fundamentally wrong. The young generations like Generation Z have already grown up with a smartphone or tablet. They are used to living and working with these instruments. These are the absolute driver of further digitization. In an increasingly hectic world, you want it to be as easy as possible. Nobody wants to wait anymore and lose time if he does not have to. Every planned purchase is online. Talk to the young people and you’ll see why we at Limendo share the opinion that digitization is unstoppable. Not digitization for its own sake, but because it is simply “easier”. 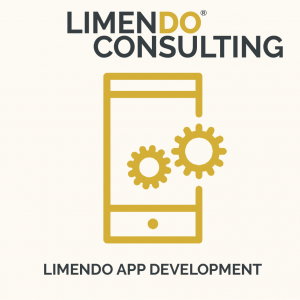 At Limendo, we are happy to assist you in the development of an app or e-commerce solution in order to respond to this transformation in digitalization. From the basic planning and research to the development and the important alpha and beta testing we do all the work for you. REQUEST IT NOW – IT’S FREE! Internationally trained and with a worldwide network and still being anchored as a a local resident in Bozen, South Tyrol. 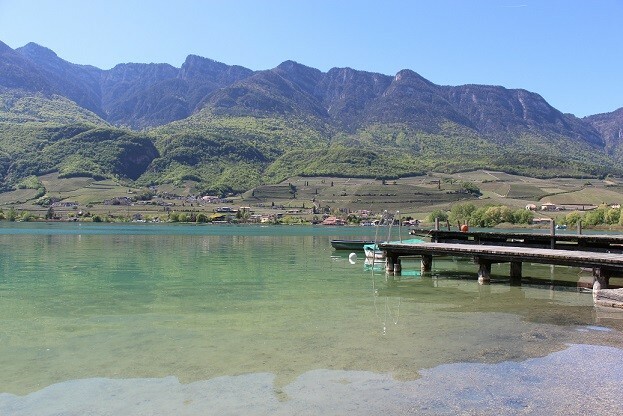 This is Limendo Business Consulting, clearly defining its roots with this beautiful northern Italian area. Obviously, we are working with partners all across the globe and implement projects for your worldwide. Limendo Business Consulting sees itself as a partner for middle-sized businesses as well as for small and micro companies and even Start-ups. 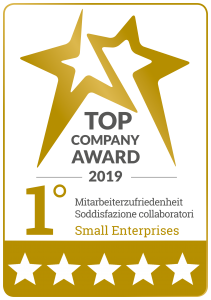 We want to bring the very high international standard of business consulting to South Tyrol and also offer our services to smaller companies. Don’t hesitate to contact us directly. We have a large portfolio of smaller businesses we were able to help with significant innovations. Why should you not be one of them and benefit from the possibilities of digitalization? 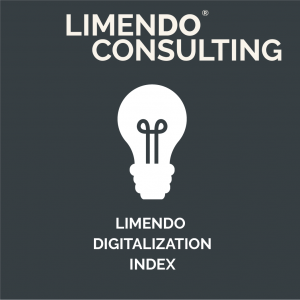 THE LIMENDO BUSINESS CONSULTING DIGITALIZATION INDEX. In just 10 minutes you can find out, how digital your company is and how you score in comparison to other competitors with regards to digitalization points. Contact us regarding our Digitalization Index. We will be happy to call you back with no obligation to you. For a successful digitalization, it is essential that the vision and strategy are in unison. The IT department, or the strategic IT and strategy department must be involved in any digitalization projects right from the start. If you are a small business that does not have a separate department for this, then that won’t be a problem. What is most important is that all of the essential decision makers are involved. Transparency and a clear understanding about new technologies and how to integrate them into the existing business model is absolutely key. The digital competence of your team and your employees literally decide, how successful the digitalization initiatives can be implemented in your company. How you control any projects within your company and who is responsible for these projects is yet another decisive factor for a successful implementation of digital initiatives. This also applies to knowledge management and digital rights management (DRM), which are both also very important. The core task of the digitalization is to continuously optimize and digitize the business processes. Particularly in this area, we will evaluate how strongly you integrate your clients and suppliers digitally into your processes. Here, also the administrative processes are important, since they should be designed to work as efficiently as possible. Another essential point of the digitalization is the efficiency of the performance measurements. How automated do you receive your business data and what kind of monitoring and overview do you have? Essential for the successful implementation of the strategies is the available infrastructure. It will show, what kind of systems and infrastructures you are currently working with. From the use of emails all the way to IoT (Internet of Things), this area covers and looks into all necessary infrastructures. Last but not least, the eCommerce and eBusiness activities of the company are being evaluated. Essentially, this is done to transparently show you, what kind of activities are being used for your clients within the sales and marketing departments. 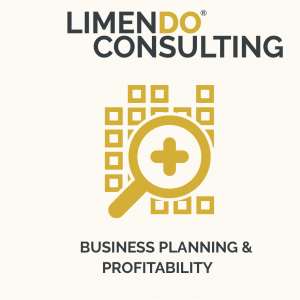 How does Limendo Business Consulting work regarding the Strategy Development? How do we define Project Management? 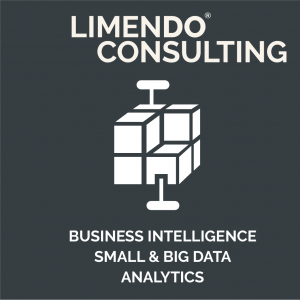 How will Limendo Business Consulting support you in the area of Controlling and Business Intelligence? What is digitalization and digital transformation? Ask for a call back or write to Limendo Business Consulting. Request a call now! This service is absolutely free.